Although men may have tough exteriors, emotionally they can be extremely fragile. In fact, according to a meta-analysis published in 2002 issue of "Aggressive Behavior," psychologist George P. Knight and colleagues found that males are more easily aroused by emotional stimuli than females are. 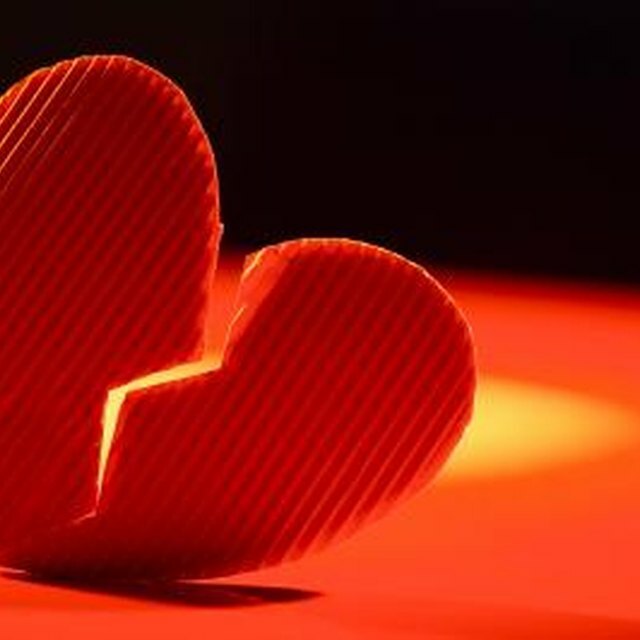 Breakups are some of the hardest situations that we face in life, and are usually quite emotional. Letting someone down and knowing that you have caused him hurt can feel devastating. But there are ways to lessen the strife that this may cause. If you feel the man that you're dating isn't for you, but worry about breaking his heart don't fret; there is a way to politely end the relationship. Tell your man that there is something on your mind you want to talk about and set up a specific time to speak in person. Meet with him in a public place that is not too crowded, such as at a park bench. This will give him the courtesy of allowing him privacy in case he becomes emotional. Tell your man that although you may like him very much as a person, you simply do not feel the spark that should be present and that it would not be fair to continue the relationship. It is important to be direct and honest about your feelings. Susan Sprechter and colleagues, in a study published in 2006 in the "Journal of Family Issues," found that individuals' perceptions about how sexually interested their partners are toward them had no significant effect on their distress felt during breakups. Validate his feelings. Tell him that you understand how he feels because you have been where he is right now many times in the past. Explain that you don't want to hurt him, but that you need to be honest. Tell him that although you want to end the dating relationship, you still respect him enough as a person to allow him to express himself and to truly listen. Allow him time to get his feelings off his chest, as long as he is not disrespectful. Stick to your initial instinct. Do not allow him to convince you to give it another try. If he does ask, simply apologize and explain that it would not be a good idea and unfair to him knowing you don't feel the interest that you should. Focus on at least one positive trait that he has. Let him know that you have enjoyed getting to know him and that he's a great person. Wish him the best of luck in life and part ways. Avoid breaking up with your man while at either his home, yours or one that you may share. Being in a public place more easily allows one or more parties to leave if the situation becomes difficult. If your partner becomes physically aggressive or violent in any way, remove yourself from the situation and call the police.